Having lived in Whistler for just about a month now, I was amazed to experience my first close-up sighting of a black bear during an initial outing in the bike park. The even better part is that this was just the first of several bears I would encounter. Whistler is indeed bear country, but with humans and bears living together in such close proximity, several precautions must be taken for a harmonious co-existence between the two species. 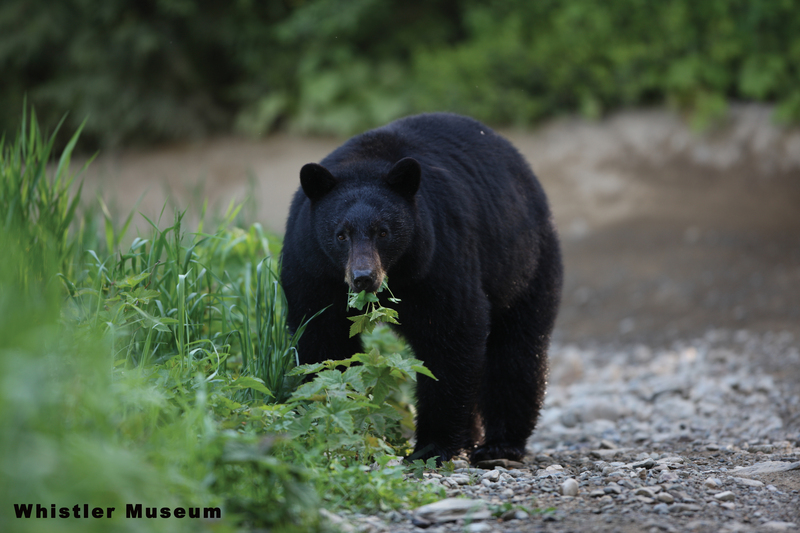 With about 900,000, the most common bear in North America is the black bear. They can be found in all Canadian provinces and territories except for P.E.I. Problematic interactions between bears and residents have occurred since tourists first began arriving in Alta Lake in 1913. It wasn’t until 1995 that the Bear Smart Society was registered as a non-profit charity, with the mission to minimize the number of bears killed as a result of human-caused problems. Since then, the group has strived to educate the public on bear safety, and encouraged businesses to ensure all garbage and food waste is in secured containers out of reach of bears and to keep all doors closed at all times. 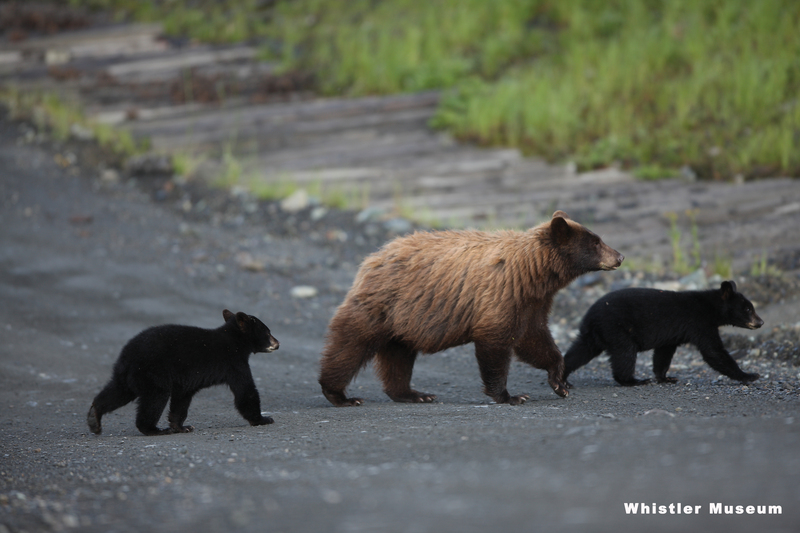 Bears are not mean or malicious, but mothers with their cubs can become quite aggressive when they feel threatened. It is important to always give them lots of space during an encounter. Bears tend to avoid contact with humans, and often, hikers are not even aware when they come close to bears in the wild. This bear, named “Twix” by a grade 5 student, was tagged in his left ear because of his habit of breaking into garbage bins and getting too comfortable with people. While Whistlerites mourned the death of the local bear, the event came as a wake up call and efforts to create a community that was safe for both bears and humans increased. You’ve probably seen many of the locked garbage and recycling bins throughout the village. These systems are just one way in which Whistler has become more bear conscious. 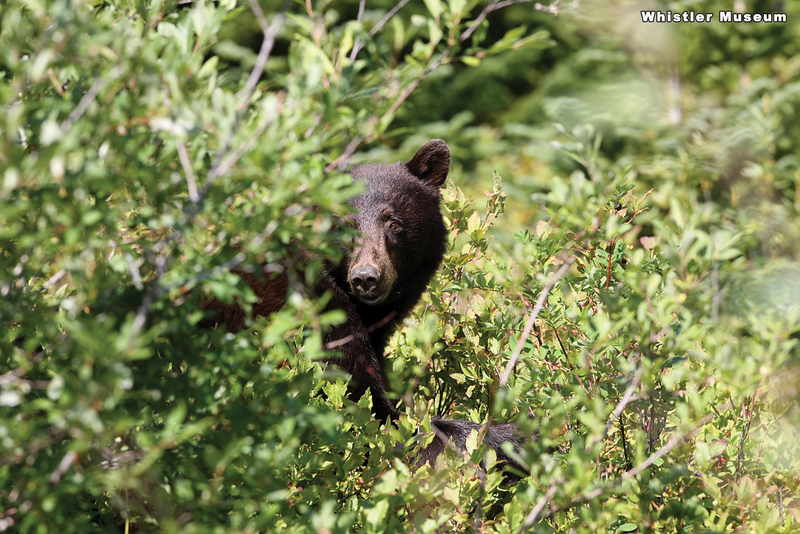 Today, Whistler is recognized as a Bear Smart Community by the province of British Columbia, meaning that the region has gone above and beyond in terms of discouraging bears from coming into the area. This makes Whistler the 4th municipality in B.C. to receive this status (the other communities being Lions Bay, Kamloops, and Squamish). 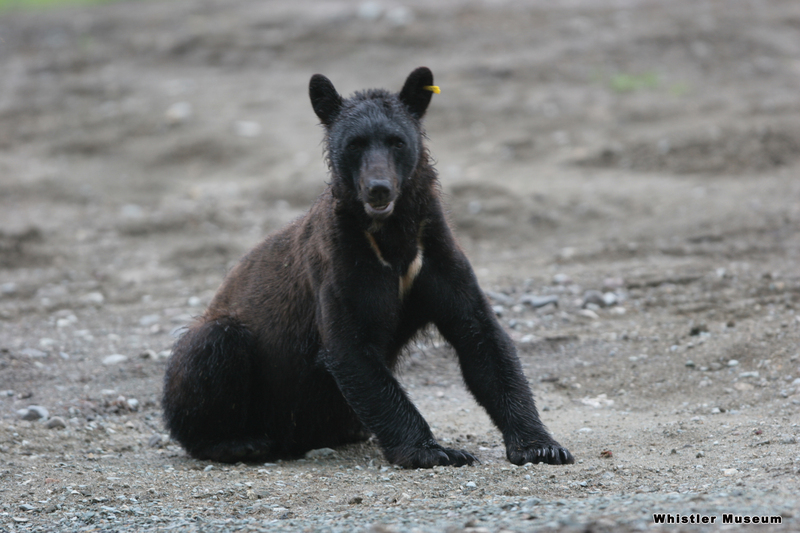 This entry was posted in Environment, Wildlife and tagged Bear Smart, black bears, Jeanie, whistler wildlife. Bookmark the permalink.